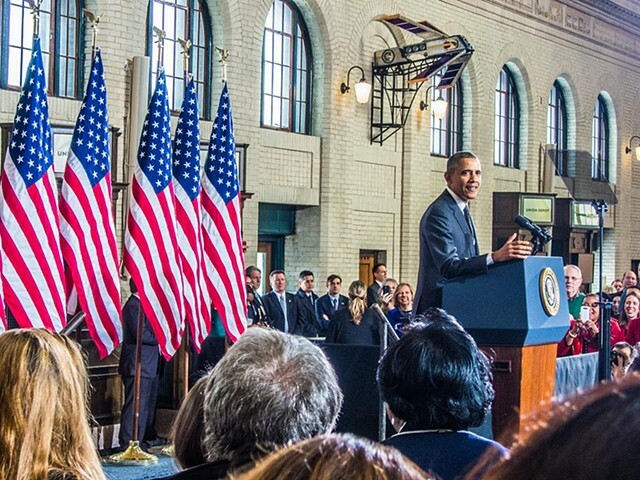 "The Occidental Express, The East Friesian Flyer and the Asypmtotic Line - Where We've Been, Who We Are and Where We're Going"
President Barak Obama speaking in St. Paul's Union Depot by one of my pieces. Union Depot Railroad Station Waiting Room with my pieces installed. 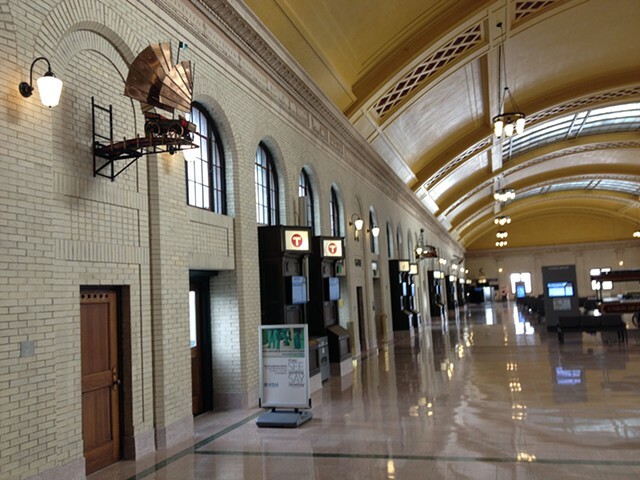 I've been commissioned to make 3 'fantasy trains' for St. Paul's Historic Union Depot Rail Station. Each piece will be on a train trestles (train bridges) that is inspired by a bridge in St. Paul, Mn.